Officials of King Abdullah Port visited Valenciaport, Europe’s fifth busiest port. Accompanied by delegates from the Economic Cities Authority (ECA), the Coast Guard, the Saudi Customs and the National Container Terminal (NCT), the main operator of the container terminal, the visit was to study and benchmark operational procedures in use. “For the past three years, with our partners in the government and the private sector, we have been making visits to major ports to exchange knowledge and experience and utilize best practices at King Abdullah Port,” said Engineer Abdullah Hameedadin, Managing Director of the Ports Development Company, the owner and developer of King Abdullah Port. 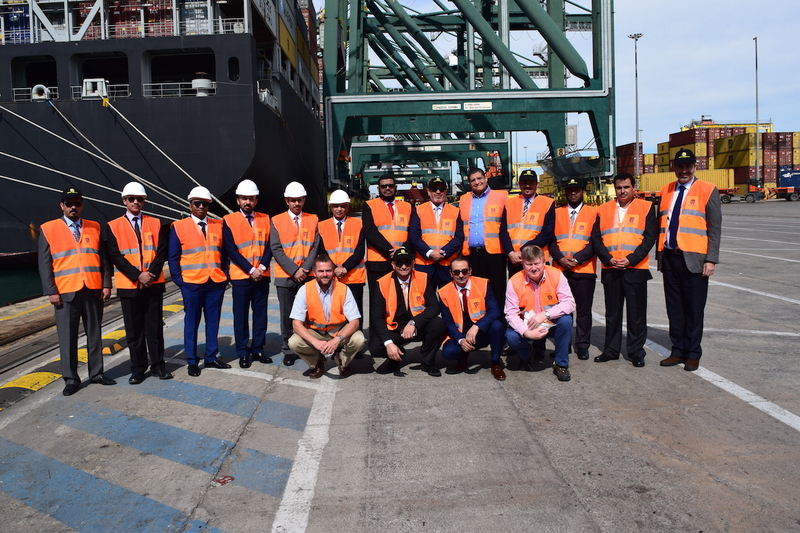 Delegates explored firsthand the key features of terminals at Valenciaport, the working and business methods the Port Authority of Valencia employs, and safety and security standards and procedures. King Abdullah Port officials previously visited the ports of Istanbul, Rotterdam and Antwerp. They selected Valenciaport for this year’s visit on account of it being the largest not only in Spain, but also in the Mediterranean Sea basin, and Europe’s fifth busiest port. King Abdullah Port is Saudi Arabia’s and the region’s first port ever to be fully privately owned and developed. The port’s strategic location, comprehensive services, and advanced technologies enable it to be of service to the world’s largest shipping and freight companies, setting it up to achieve its vision of becoming one of the world’s major ports, hence strengthening the pivotal and important commercial and economic roles of the Kingdom and playing an integral role in achieving the Saudi Vision 2030.